Brew is from our first bicolor litter. His dad is GC RW Cinema’s Abracadbra and his mom is Catsafrats Let’s Parti. 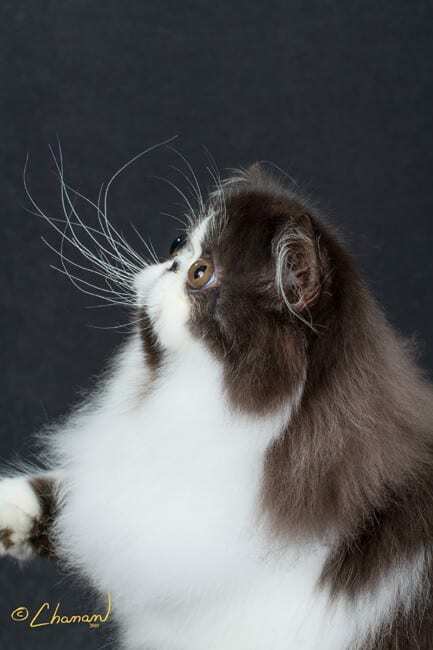 Brew just finished his campaign in the kitten class and is currently in the top 25 kittens regionally. If all goes well, he will soon be siring beautiful babies for us.